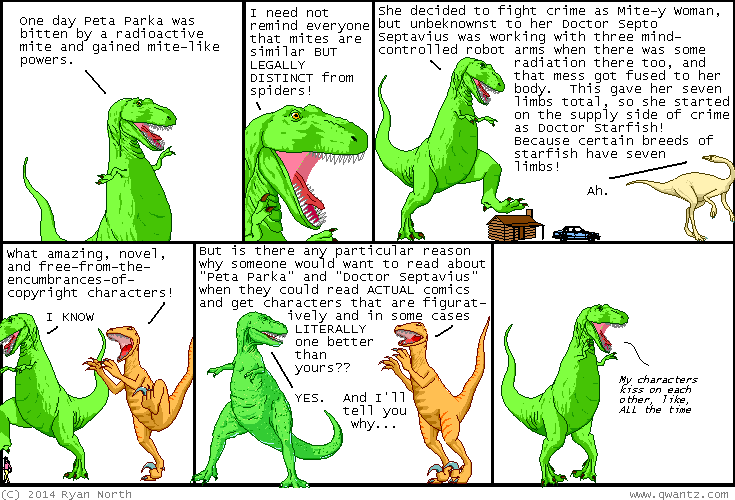 Dinosaur Comics - December 10th, 2014 - awesome fun times! –And the answer? "Probably pretty poorly!!" December 10th, 2014: Peta Parka dresses like she's expecting cold weather, yes, why do you ask? ?